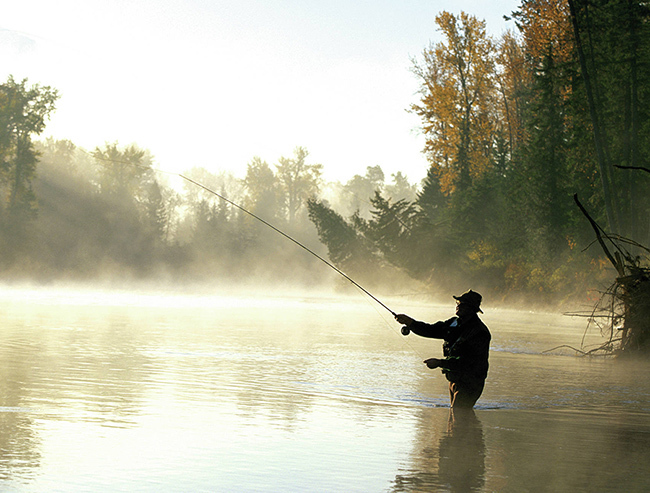 Fly fishing is an angling method in which an artificial “fly” is used to catch fish. The fly is cast using a fly rod, reel, and specialized weighted line. 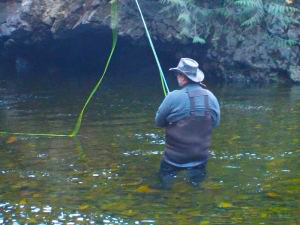 Casting a nearly weightless fly or “lure” requires casting techniques significantly different from other forms of casting. 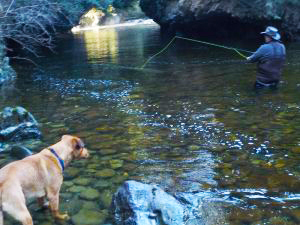 Fly fishermen use hand tied flies that resemble natural invertebrates, other food organisms, or “lures” to provoke the fish to strike(bite at the lure). Author Izaak Walton called fly fishing “The Contemplative Man’s Recreation”. 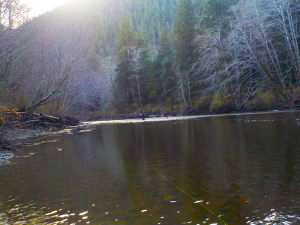 Vancouver Island is home to some of the best winter steelhead fishing in British Columbia. These Vancouver Island steelhead fishing trips focus on targeting steelhead on Vancouver Islands’ northern region, including the Nimpkish River, the Salmon River and a variety of others lesser known but equally impressive BC steelhead systems. Hook’n Them Fishing Charters is pleased to offer guided Vancouver Island steelhead fishing packages that include fishing wild rivers and accommodations in Port McNeill. This is a great trip for serious anglers in search of a new British Columbia steelhead adventures! Trips Include: full-days of guided fishing on either the Nimpkish River or other accessed rivers with a licensed guide. Accommodations and meals provided at our private Nimpkish Heights Lodge. Ground transportation from Port McNeill/Port Hardy. 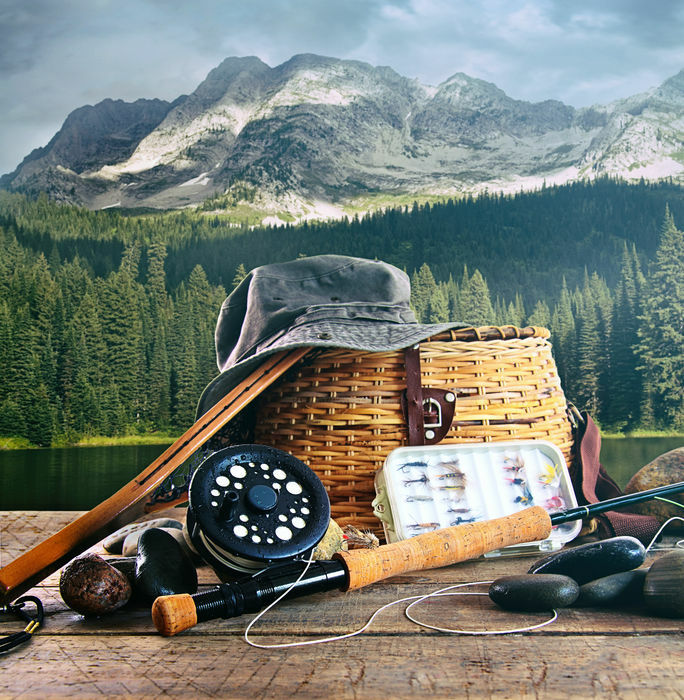 Fly-fishing equipment and Wading gear. Not Included: GST Tax 5%. plus Guide gratuities. $395.00 per person Based on double occupancy. Contact us today for more information or to book a fly fishing salt or fresh water trip.